It appears the Maroons have reversed their early season woes. Chicago (6–5, 0–0 UAA) crushed both of its opponents over the break. 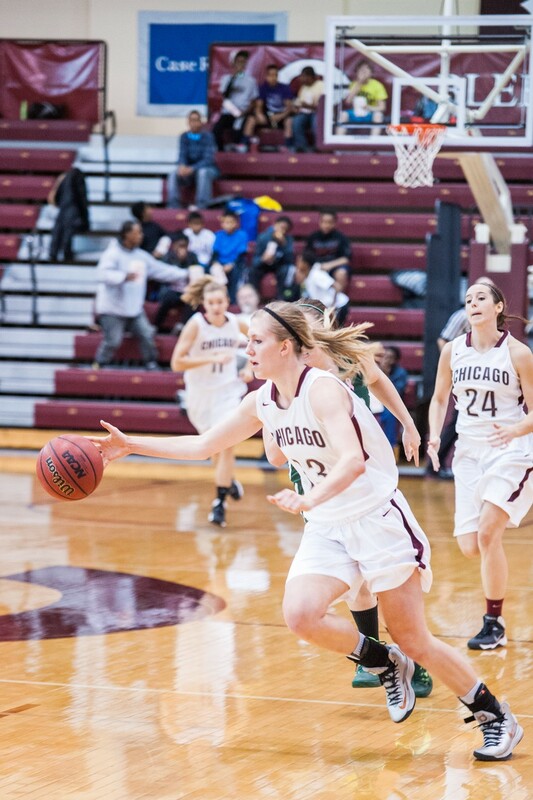 After decimating Illinois Tech (0–13), the Maroons were able to cruise past Oberlin (6–7). The pair of victories gives the red-hot South Siders five wins over the last six games. Neither of the games was a close affair as neither outcome was ever in doubt. Chicago jumped out in front early against Illinois Tech. By the end of the first half, all but one of Chicago’s players had scored. On the day, four different Chicago players—fourth-years Ali Shaw and Ellie Greiner, along with first-years Mary Grace Bilby and Katie Anderson—had racked up more than ten points a piece. All of this combined for a lopsided 76–30 rout against the inter-state foes. The game against Oberlin didn’t start in quite the same decisive manner. Instead, Oberlin hung around for the first 13 minutes of play, trailing the Maroons by only three points toward the middle of the first half. But in the waning minutes of the opening half, the South Siders enlarged the lead to 14. From there on out, the Maroons added to their advantage, finishing the game with an 83–47 victory. Every Chicago player managed to get her name on the score sheet. The recent success for the Maroons portrays a contrasting picture to their earlier season woes, when they dropped four of their opening five matchups. “Our team has had a great couple weeks of practice and we have really focused on taking each game one at a time,” said fourth-year Claire Devaney. As the season progresses, the UAA will become part of the picture. Illinois Tech and Oberlin were softer opponents—the UAA field is an entirely different beast. Chicago shares the worst record in the conference with Case Western, but conference wins could help turn the season around. Chicago faces No. 4 Wash U (11–0, 0–0 UAA) this Saturday. The Bears have blown out nearly all of their opponents. Only one team was able to come close to stealing a victory, and the final point differential was 11 points. “In order to beat Wash U, we have to have a great week of practice and come out ready to play right away on Saturday afternoon,” Devaney said. The game tips off at 1 p.m. in Ratner Athletic Center. Editor’s note: Katie Anderson, mentioned above, writes for the Maroon Sports section.